So, on a Friday evening, we decided to do an impromptu drive to Ljubljana. 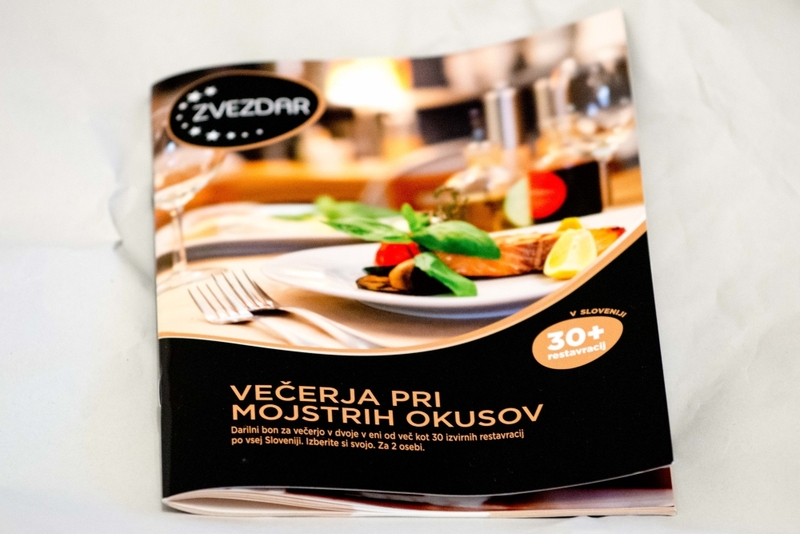 Eventually, we got hungry and decided to try our luck with out Zvezdar gift certificate: Večerja pri mojstrih okusov – a voucher for dinner at a selected restaurant, for two. We could choose from more than 30 Slovenian restaurants. Yum!! Since we were already in Ljubljana, we decided to try a restaurant that was in the area. The booklet suggested that we have a reservation… but last minute as we are, we didn’t. We called a few place to see if we could get a table and fortunately, we managed to get a quick “reserved” table at Hiša pod Gradom, a restaurant just below the Ljubljana Castle. 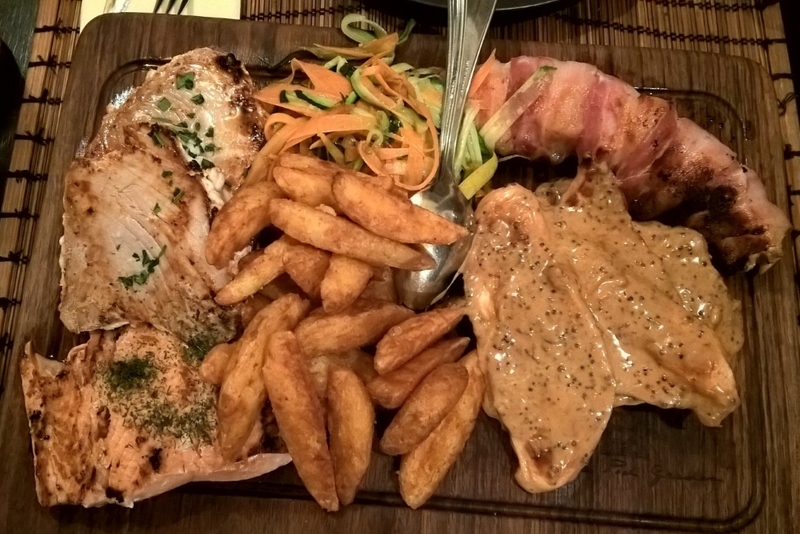 Main dishes: salmon filet, two tuna filets, four chicken filets in mustard-pepper sauce and chicken in mustard sauce, pršut-wrapped chicken. Side dishes: delicious vegetables and amayingly good potatoes fries. Glutton as I am, I peeked at what other people were eating. And I was quite excited to find out that all portions were gigantic and looked delicious. The prices on the menu were also very affordable! Overall, we had an excellent food experience. Thanks to the voucher (and the person who gave it to us), we didn’t have to “pay” and got to enjoy an excellent evening together! At the end of August, my parents came visit me and I had about a week to show them around Slovenia. We had a car and I wanted to bring them to many places but didn’t want to spend too much on admission fee, so if you fall into that category, keep reading! There’s a lot of free/low-cost interesting “touristic” alternative activities all around Slovenia and here’s just a few, that I’ve selected to show my parents. To avoid writing one big wall of text, I’ve divided it into a series of post: “Slovenia on Budget”. Please note, this is about Places to Visit, and I don’t cover accommodations or transports. On the map, Slovenia looks like a big chicken. Today, we’re going to visit the biggest city and it’s in the Osrednjeslovenska region. Ljubljana is the Capital City of Slovenia, also known as the City of Dragon – a must-see. We walked around the old town Center (Prešernov trg square, Mestni trg square, Dragon Bridge, the Triple Bridge and so much more…) and my parents took tons of photos. 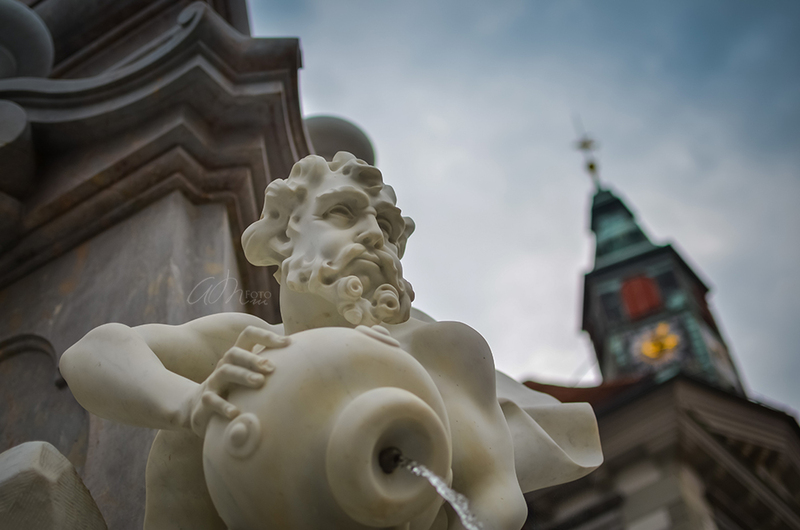 There are many beautiful statues, fountains, street arts in the old town of Ljubljana, you just have to look and explore every streets and little corners for them! I will give you a little clue: look for the street Ključavničarska ulica. 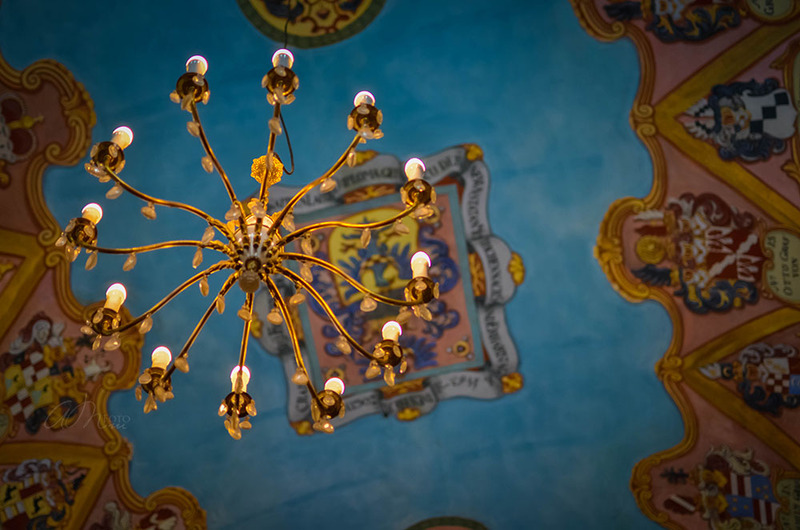 And sometimes you just need to look up and around to spot something worth photographing. There’s also an Open Market, filled with locals goodies. Also, every Friday from March to September, there’s an event Odprta kuhna – Open Kitchen, in Ljubljana – where you can taste traditional Slovenian and International dishes, from 8am to 8pm. The Ljubljana Castle, sitting on top of the hill, looking down on the Center. If you don’t want to walk up to the castle, you can use the Funicular (ticket is 10€, which includes admission to the Virtual Castle, Outlook Tower and the exhibitions). We decided to walk up (of course) to the castle. It was a nice hike up, about 15-20 mins. We visit the inner courtyard of the castle for free and the St. George’s Chapel. The largest park in Ljubljana is Tivoli Park. If you need to take a break from walking the city streets, you can enjoy a nice relaxing walk in Tivoli for free. It reminds me of Central Park in New York, a big piece of green inside a city. And if you’re in for a coffee break, I suggest that you go to Nebotičnik – the Skyscraper, a coffee shop with a roof terrace, where you can enjoy an awesome view over Ljubljana, Tivoli Park, the mountains… at the cost of a nice cup of coffee, which you can pair with a serving of cake (I recommend to try the Famous Ljubljana Cake – Torta Ljubljana, gluten free with buckwheat flour, pumpkin seeds, almond, figs and chestnuts, and it’s covered in some yummy chocolate. Miammm…). 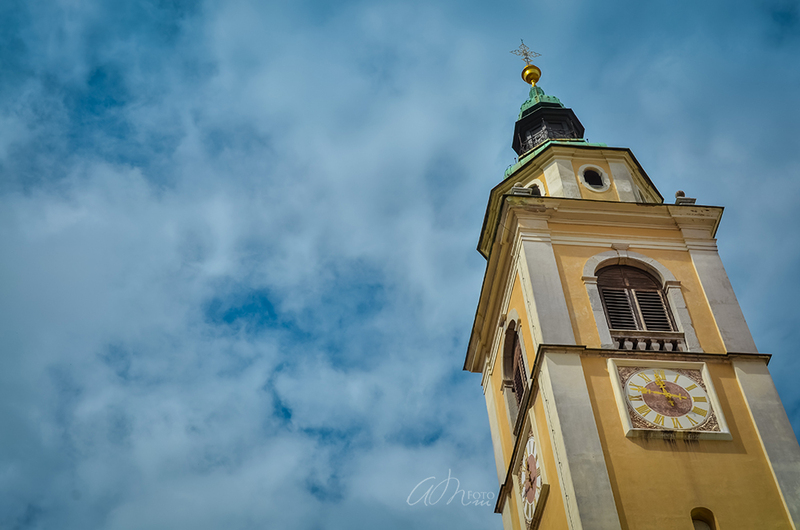 Thanks for reading my blog and if you enjoyed your day in Ljubljana, follow me on my next destinations: Day 2 – Bled & Bohinj and visit my Gallery. Sorry for the quality of some photos – Evening shots are not easy. We might be able to take better ones during the New Year Celebration, but it will depend on the weather. 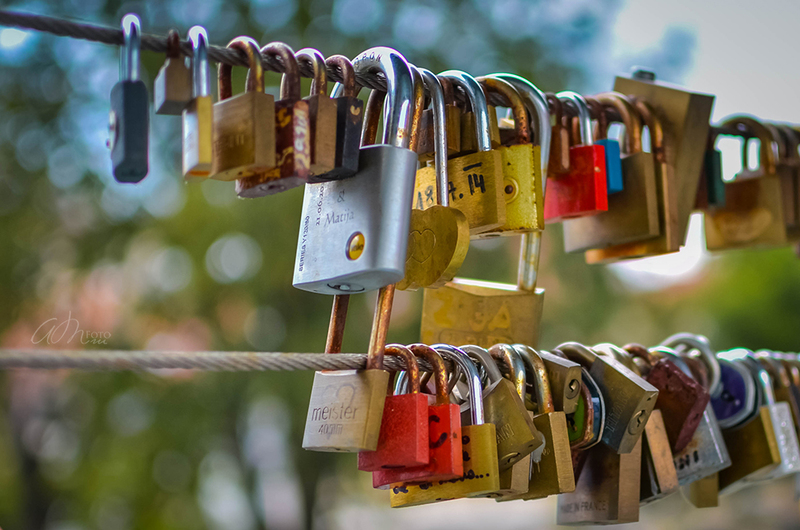 Those photos were taken in Ljubljana, during the holidays season, December 2014.